After 100 years of French colonial rule many Vietnamese people began to fight for independence. In the summer of 1954 delegates from France and Vietnam came together to sign the Geneva Accords to come to an agreement and end the fighting. Vietnam, pressured by France and communist countries such as the Soviet Union and the People's Republic of China, agreed to split the country of Vietnam in half at the seventeenth parallel. After growing tensions on both sides, North and South Vietnam began to fight. The United States joined South Vietnam soon after to protect against the spread of communism. 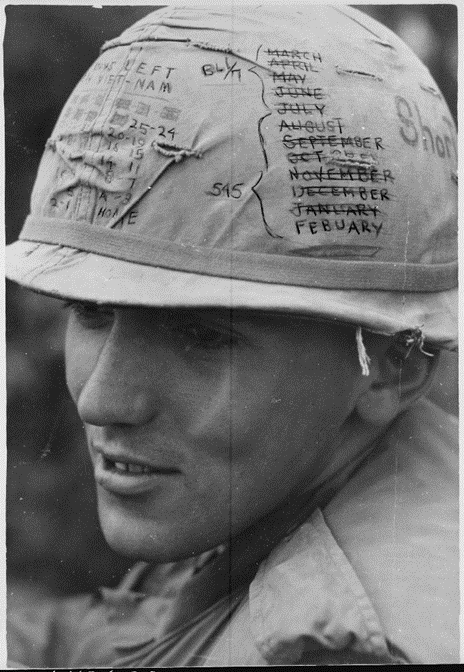 The Vietnam War lasted from 1954 to 1975. While soldiers fought overseas Americans either died or were severely injured during battle. This number includes a little over 1,000 Oklahomans. Tensions were strong at home as many individuals were against the war and mass protests were held around the country. The Vietnam War changed the way Americans thought about war and foreign policy.